Select an option Newborn 13.5 Inches 0-3 Months 14 Inches 3-6 Months 15 inches 6-12 Months 16" 12 Mnths-Tween 17.5" Adult 18"
This set of 2 sweet, soft little headbands are perfect hair accessories as Big/Little Sister or Mom/Daughter photo session. They also make a great everyday hair accessory. 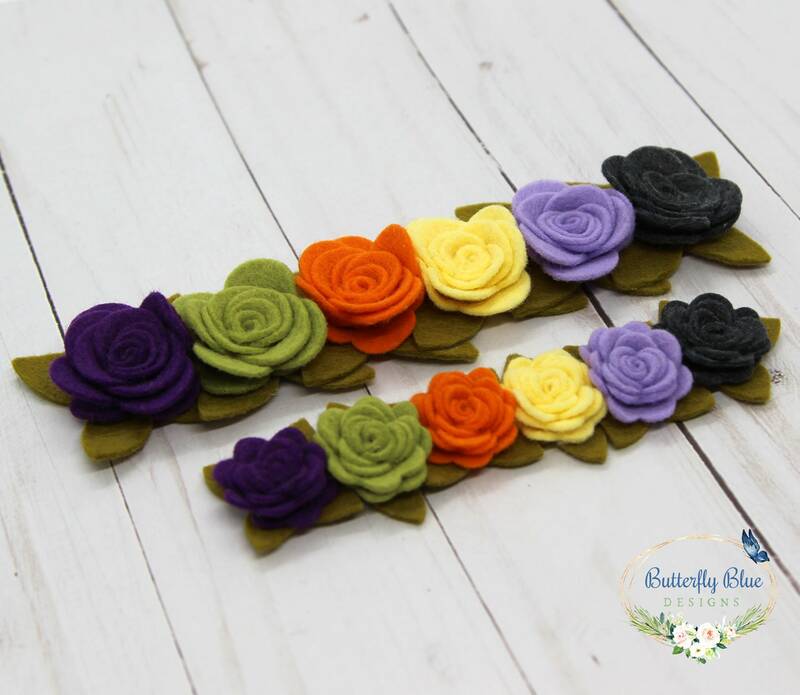 Each headband is made with 6 wool blend felt flower roses in shades of Bright Fun Purples, Yellows, Orange, Smoke and Green accented with Fern Green leaves. The Larger flowers each measure about 1.5 inches and the total length is approx 8-inches x 2-inches wide. The smaller flowers each measure about 1 inch and the total length is approx 6-inches x 1.5-inches wide. 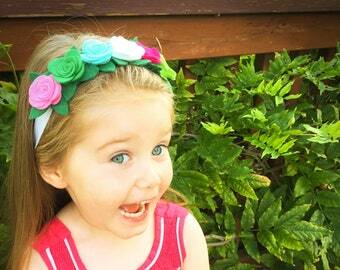 Each rose crown is securely attached to 5/8-inch headband elastic. 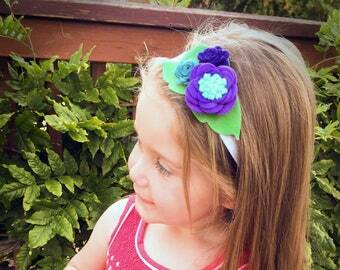 The headbands themselves are soft and stretchy for a comfortable fit and backed with felt to be gentle on little heads! 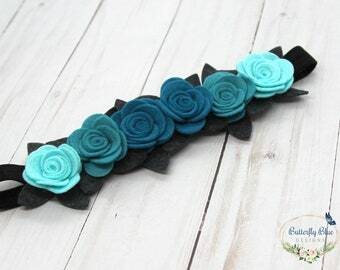 This dainty little headband is a sweet and pretty accessory for infants, toddlers and girls of all ages!